July 2015 Hero of the Month is Pascl! HOTM is based on forum activity, cooking posts, and anything in-between. Pascl is a regular contributor to the forum and is kegging up a storm. Keep those cooks coming! Keep up the activity! Congrats Pascl! 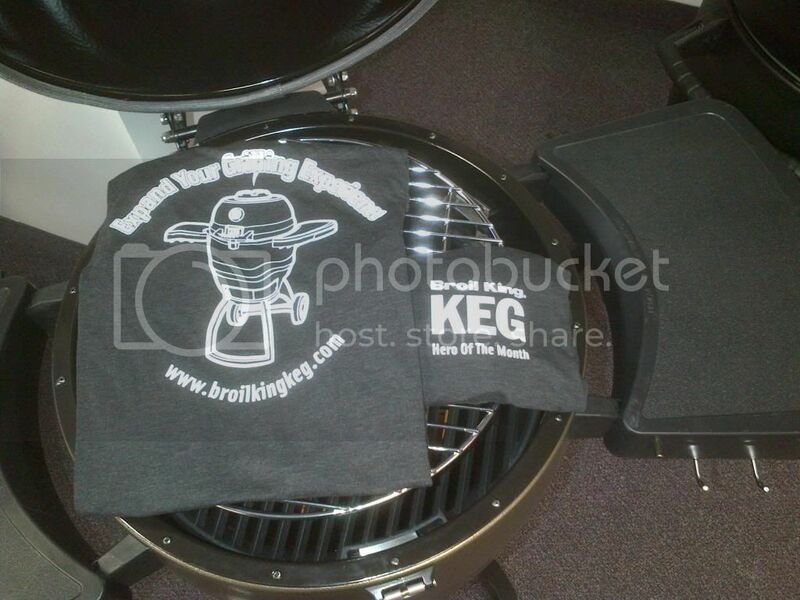 PM BBQRich you name, shipping address, and shirt size and we will get the coveted Broil King Keg HOTM tee shirt out to you. Congrats Pasci, loved that beef cook. What an honour guys this is awesome. Lucky I wear black t shirts at my restaurant so I will represent us loud and proud! Im betting I know where its lost! PM BBQ rich for a reminder.